From the Geoff Plumb Collection of original slides. PKP TKt48 class 2-8-2T No. 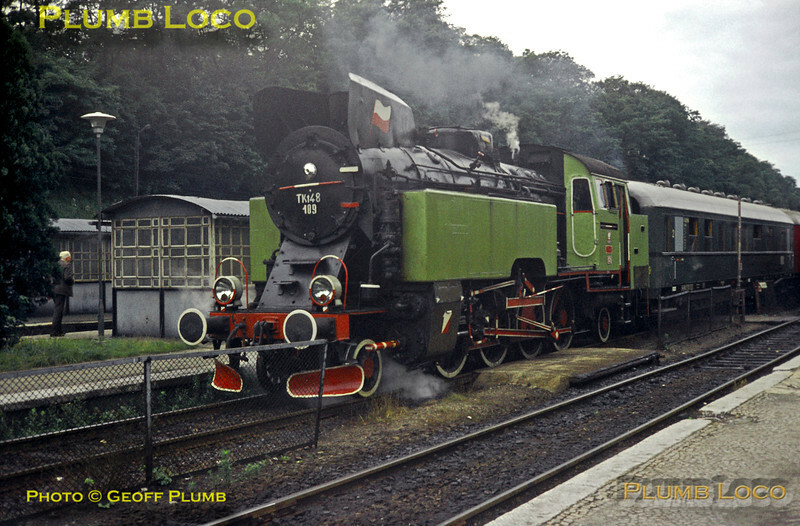 TKt48-109 is at the head of an Eisenbahn Kurier special train at Miedzychod station during a visit to the country on 18th August 1984. Photo by James Shuutleworth.